Join us for an exciting violin recital by Jaynee 재연 Park. 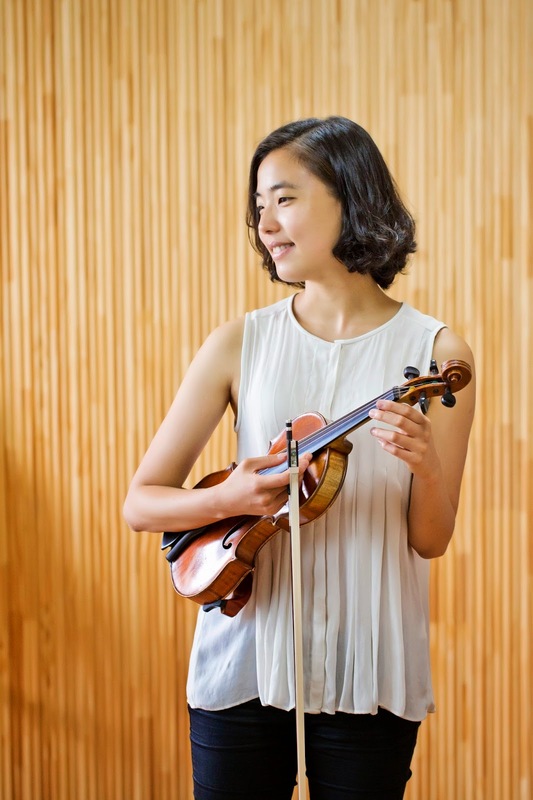 Jaynee (Jae Yeon) Park began studying the violin at the age of 3, influenced by her mother and sister. After a few years at UC Berkeley, she decided to pursue a career in violin performance and transferred to the Eastman School of Music. Jaynee is currently studying under the guidance of Professor Ayano Ninomiya. A recipient of the Howard Hanson scholarship, Jaynee will be completing a B.M. in violin performance this year. Karen Rosenak, pianist, has just retired as senior lecturer in musicianship at UC Berkeley where she had taught since 1990. She studied piano with Carlo Bussotti and Nate Schwartz, and fortepiano with Margaret Fabrizio. While teaching full time at UCB, she also served as pianist and founding member of Earplay, San Francisco-based new music ensemble, and the Empyrean Ensemble at UC Davis, and has performed with other Bay Area new music ensembles, including Left Coast and the San Francisco Contemporary Music Players. The performance is free, but seating is limited.